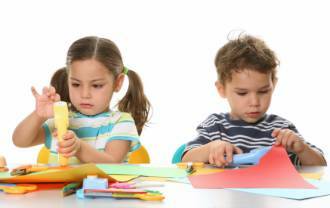 Fine motor skills are connected to the small muscles of the body that enables writing, holding small objects and fastening clothes with zips and buttons. Fine motor skills involve strength, control and dexterity mainly of the hands. It is also used in co-ordination with eyes, mouth hands and feet. Like wriggling your toes Sticking out your tongue and flexing your fingers. A weakness in the small muscles of the hands, can seriously affect your childs ability to eat by themselves, write, use a computer, and turn pages in a book and perform personal grooming tasks, like brushing hair and teeth. So as you can see dexterity of the small muscles, are most important for school activities and everyday life in general. If your childs has motor weakness it may be affecting his school work, discuss this with his teacher, to determine if this may be the causing the problem. Your child may have to be evaluated by a physical therapist and/or an occupational therapist to determine if his motor skills or small muscle control,are of concern. Therapy can improve this weakness considerably. Your childs school teacher will use the therapists' assessments to determine if your child needs regular therapy. The school will then also incorporate the therapy activities into his every day work, there by increasing the effectiveness of the therapy. Always encourage and motivate your child with plenty of positive feedback and praise for his efforts, especially when he has mastered a skill. We all need to improve our weaknesses to an acceptable standard, compensate where we have to, and enjoy our strengths and talents. No one is good at everything. When you have a special needs child, it is important to find the right stimulating activities to help your child develop an area that he has potential in. Do not over stimulate your child or force them to do activities that they do not enjoy. This is counter productive and will demotivate you and your child. Have fun, fun and then some more fun!!! Learning and practising skills without even knowing it, is what it's all about. Drawing and colouring with crayons, markers, coloured pencils and chalk are good for promoting exercises of the small muscles in the hands. Use bath time to exercise motor skills, by playing with bath crayon soap, shaving cream on the side of the bath, letting your child draw pictures in the foam. Make a scratch pad, by colouring a piece of cardboard with different coloured wax crayons. Paint a layer of black paint onto. When it is dry, use a orange stick to scratch pictures onto the black and see the crayon colour come through. Manipulating play dough, strengthens the hand muscles and teaches controlled movement. Folding, tearing and scrunching paper, a good strengenthening exercise. Cutting with scissors, use different thicknesses of paper, and start by cutting out simple shapes eventually moving to intricate patterns, like snow flakes. Threading beads and lacing activities. Picking up small objects like beads with wooden pegs. Jenga is a strategy game that uses fine motor skills focusing on the pincher grip which is used in writing. Remote control cars, manipulating the remote controls not only develops hand and finger control, but helps with hand-eye co-ordination as well.